There are finally some daffodils blooming in the garden at my house, and that makes me very happy! Daffodils are one of my favourite flowers, and I wish they would bloom all year long. These merry little flowers have a lot of positive associations and memories for me– they remind me of the 1983 film adaption of The Pirates of Penzance which I always watched as a child, and due to the silliness of the film that makes me laugh. 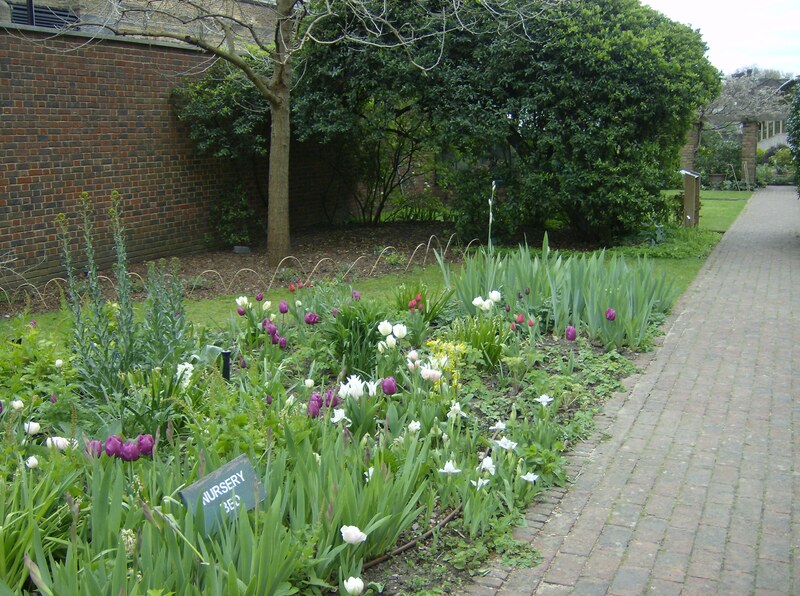 Daffodils also remind me of a wonderful trip to Penshurst Place in Kent years ago; my brother and I were chasing each other through a crop of daffodils until he ended up falling. I only just avoided disaster by jumping over him at the last minute, and we still laugh about that episode today. 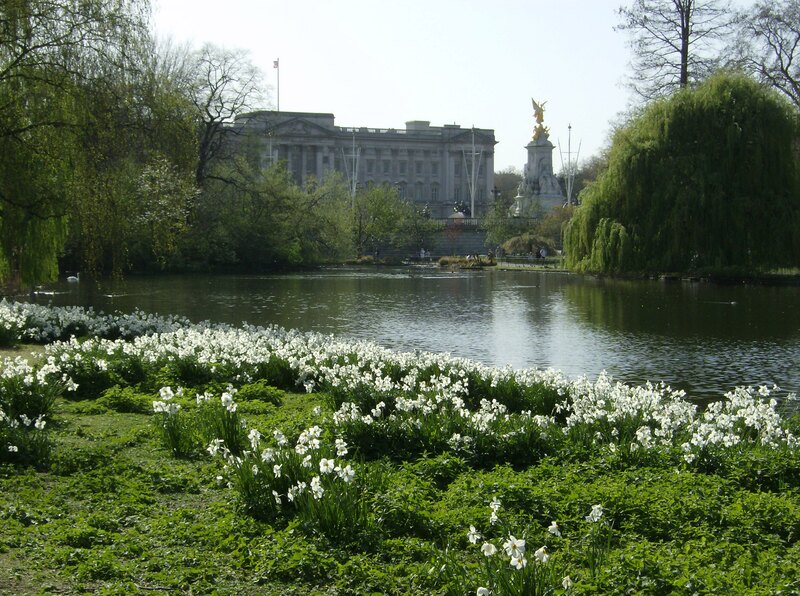 And of course daffodils are a symbol of Wales– I love Wales, and am very proud of my Welsh heritage. It should be self-evident that this outfit is inspired by the daffodil. I love the cheerful colours and frilly faces of daffodils, and love that they bloom during one of the happiest seasons of the year! Of course, there has to be something faintly military in all my outfits, so I used a beautiful olive green waterfall coat in this one. Simple jeans provide a neutral bottom half, while a ruffled white top recalls the ruffled petals of daffodils. Rather shocking shots of yellow and orange are introduced through the handbag and Hermes scarf; and beige Burberry booties and dusty blush lipstick allow these pieces to shine. Finally, vintage sunglasses and gold Chanel jewellery give the classic, polished look that I always strive for. I hope that this outfit is just as sunny as the flowers which inspired it! There are few tools which have been used continually for over a century– industrial technology moves fast, and the old ways of doing things are often eclipsed by newer, more effective means. Working as I do at Mitsubishi, I laugh to think of our shop attempting to function without the help of the pneumatic tools which only came into widespread use around seventy years ago. As it is, any enduring technology is unique; and to be commended. Russia’s Mosin rifle is one such tool, which is so simple and sturdy in design and use that it has endured for not only a century, but exactly 125 years! Designed in 1891 by a Captain Sergei Mosin, the Mosin has truly stood the test of time; and it has done so not because its design was particularly advanced or revolutionary, but simply because it works. I personally love things like that– whether it’s a car, or in this case a gun– which are unassuming but which have great character and dependability. The official Soviet military manual for the Mosin states that “the rifle is simple in construction and design, sturdy and faultless in use; it is always ready for immediate employment.” While it may be reasonably supposed that this is a propaganda-driven statement, the truth is hardly any less impressive. Meet the Mosin M91/30 (the lower rifle): I believe this is one of the most beautiful and prolific rifles ever made. Few rifles have seen as many variants and upgrades as the Mosin has; which is a further testament to its versatility. 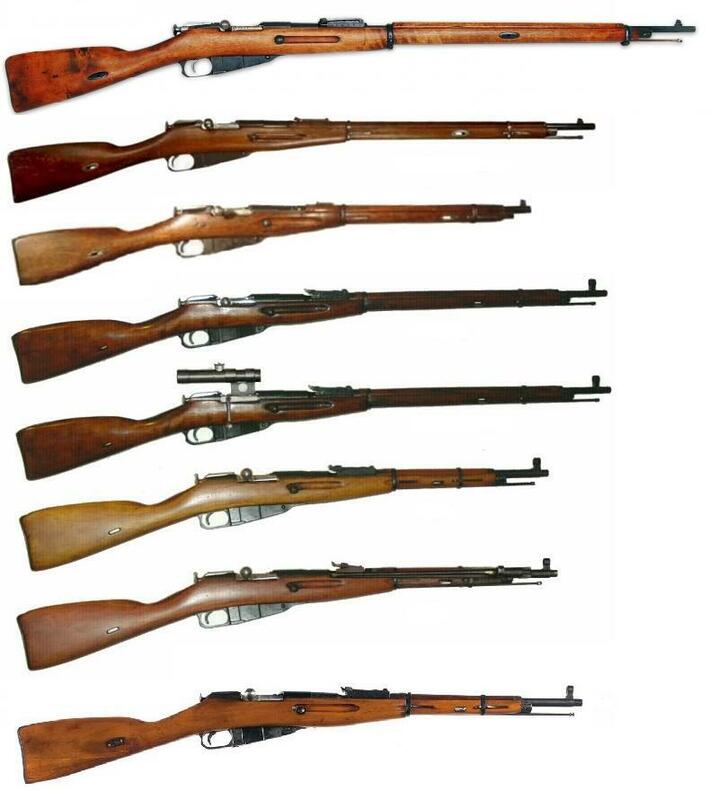 What began as the Mosin M91 morphed into a dragunskaya rifle for use by mounted infantry, and later still came the 91/30 and 91/59 variants. 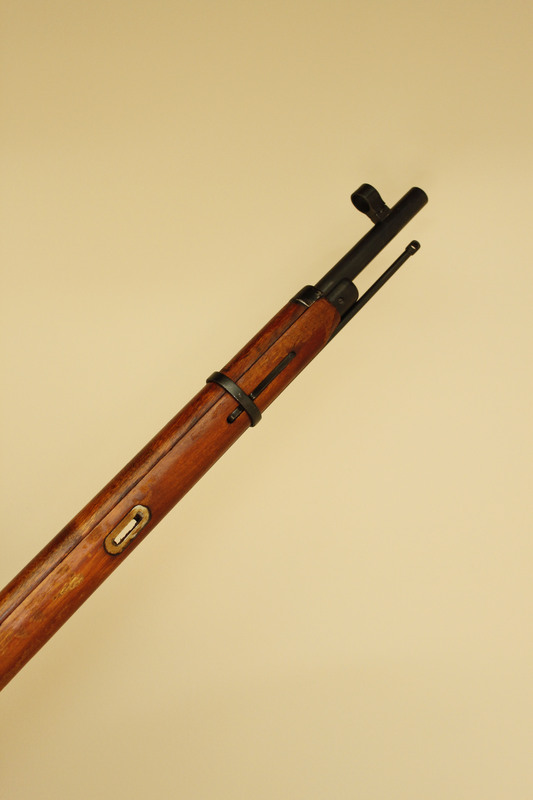 The 91/30 rifle was used throughout the 1941-45 conflict on the Eastern Front, and remains the most famous and widely-used incarnation of the Mosin. Modifications were even made to the 91/30 itself when they were needed– this versatile rifle gave rise to the 1944 carbine; and when fitted with a scope and downturned bolt handle, it was distributed to snipers throughout the Red Army. Over the years, countries other than Russia and the Soviet Union have also manufactured the Mosin. Finland’s wartime examples are of particular interest to collectors and history buffs, while postwar examples from places like former Yugoslavia and China are also in existence. I must admit that the Mosin is primarily utilitarian, and not much about it is elegant. 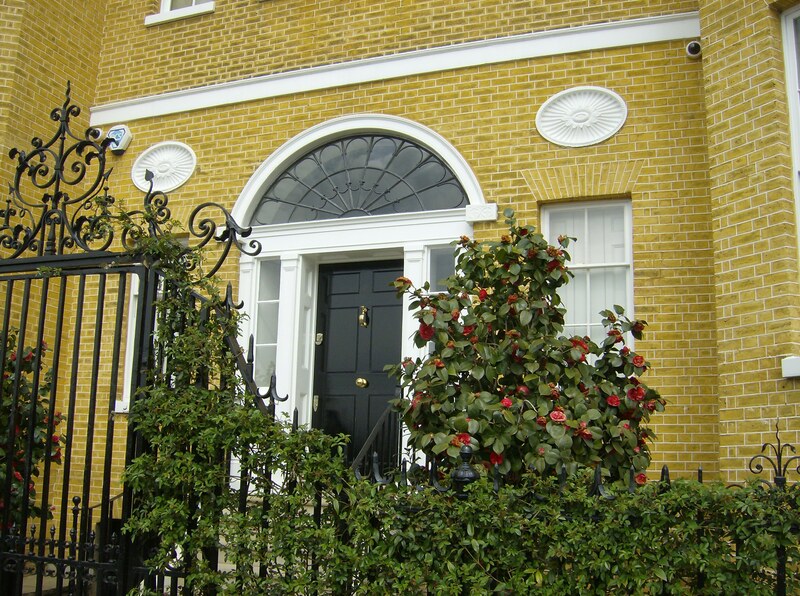 Certainly, pre-World War II examples displayed a level of craftsmanship; but wartime production resulted in crude and rough finishes. This, however was not totally out of keeping with the character of the rifle; nor did it affect the Mosin’s effectiveness in the field! Of course, striking firearms like the AK-47 or Steyr AUG are pretty cool– but the Mosin did its job without any of that show. Each one of the Mosin’s spartan features is there for a reason, and these features combine to make a very solid firearm. Visible in this close-up is the 5-round box magazine forward of the trigger, which is accessed by a hinge at the bottom or through the chamber at the top. A Mosin can be loaded using charger clips of ammunition, or simply with one round at a time. The Mosin proved its worth during the fierce combat on the Eastern Front of World War II. Although its design was already fifty years old by then and the nature of combat had begun to change by WWII, the need still existed for an inexpensive, easily-manufactured, reliable bolt action rifle with which to equip infantrymen. The unpredictable conditions and ferocious fighting on the Eastern Front meant that reliability was especially important. 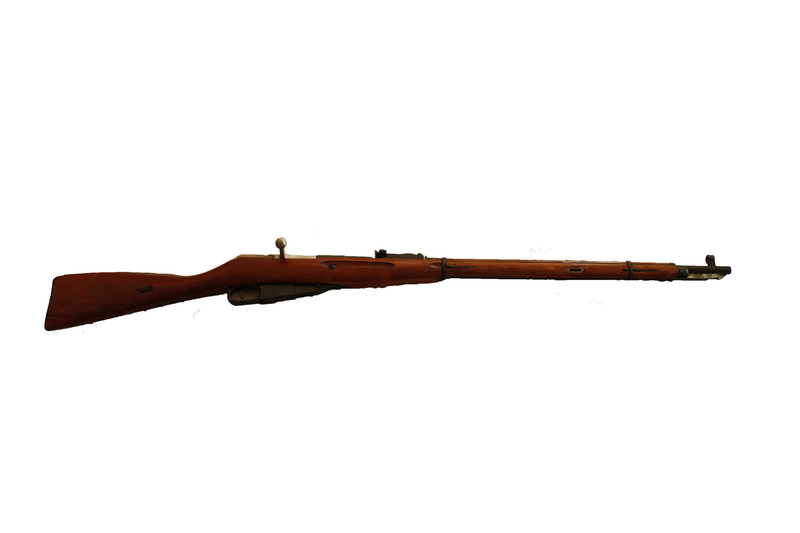 And the Mosin delivered– although it was big, heavy, and had a low rate of fire, it was dependable. It functioned even in the mud of autumn and the snow of winter, and was simple enough that even the most poorly-trained Red Army recruit could master it. The Mosin would never have the firepower of its semi-automatic cousins the SVT-40 and SKS, but for what it was it was wonderful. 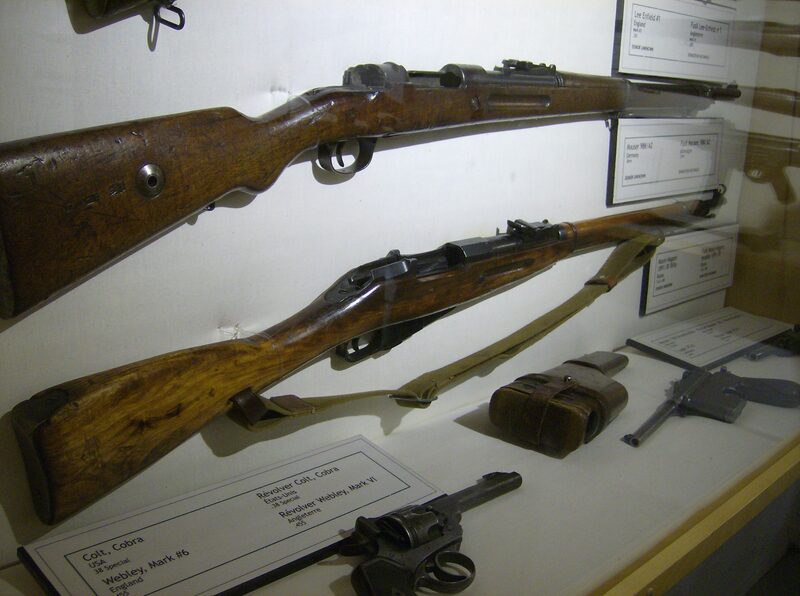 Many German soldiers admitted that they happily cast aside their standard-issue Karabiner 98K rifles in favour of a captured Mosin. One of the Mosin’s greatest achievements was its wartime success as a sniper rifle. The power behind its 7.62 x 54R cartridge and its reasonable accuracy meant that it was deadly in the right hands. Famous snipers like Vasily Zaitsev and Lyudmila Pavlichenko scored hundreds of kills during the war, all while equipped with a Mosin. Even Finland’s most famous sniper, Simo Häyhä, used a Mosin (without a scope at that!) to great effect. For me personally, the Mosin 91/30 stands as one of Russia’s greatest products and one of the greatest rifles in the world. Sure, it’s not trendy or spectacular, but around 37,000,000 of these rifles were manufactured– the production numbers and combat records speak for themselves. I’ve been very fortunate in that I have experience with a Mosin; so perhaps I’m biased! But it’s an honest bias; towards a gun which has played a large role in the recent history of the world and which has a unique character and history. I’m not sure what Red Army soldiers thought of their Mosins– firsthand accounts have proved hard to come by– so I’ll describe my own impressions instead. First of all, it takes some practice to wield a Mosin adeptly! Of course, it doesn’t help that I’m 5’4” and the Mosin is only about a foot shorter! And it does get heavy after awhile. It would be difficult indeed to be in charge of such a large and heavy gun in the midst of combat. As for ergonomics, I don’t think the concept existed when Captain Mosin designed his gun. It takes getting used to, but the stock is a reasonable length even for me and the trigger is just within reach. Although awkward and cumbersome at first, the Mosin has become second nature to me and I am as comfortable handling it as I am any modern-day rifle! 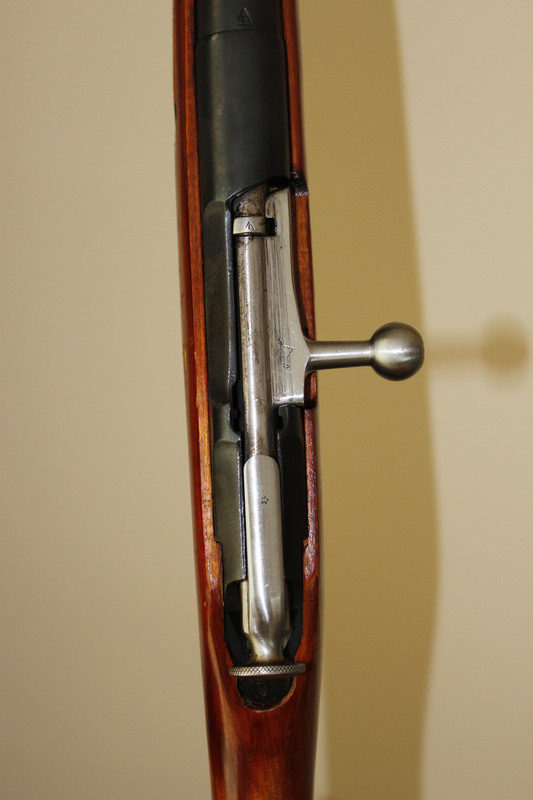 A top view of the Mosin’s bolt. The bolt can be very difficult to unlock and is also susceptible to freezing, but it usually works in after awhile. Now for the exciting part: firing the Mosin! This isn’t exactly a gun for beginners– it will hurt you if you’re not careful. It has a considerable amount of recoil, which mirrors the enormous boom each shot makes. Firing the Mosin always leaves me in awe. The power it has is amazing, and it’s a really fun rifle. Part of the fun is the challenge of shooting accurately from an unscoped rifle, especially when you know such huge recoil is imminent. It was through firing the Mosin that I realised how much shooting requires the mind. It’s not just about pointing the gun and pulling the trigger; one’s mind has to be in the right place as well. The true appeal of the Mosin for me is that it’s not only a fantastic and powerful gun, but it’s also a piece of history… a piece which is still relevant and enjoyable today. Chips and scrapes are evident in the wood of this lovely Mosin, manufactured at the Izhevsk Arsenal in 1938. 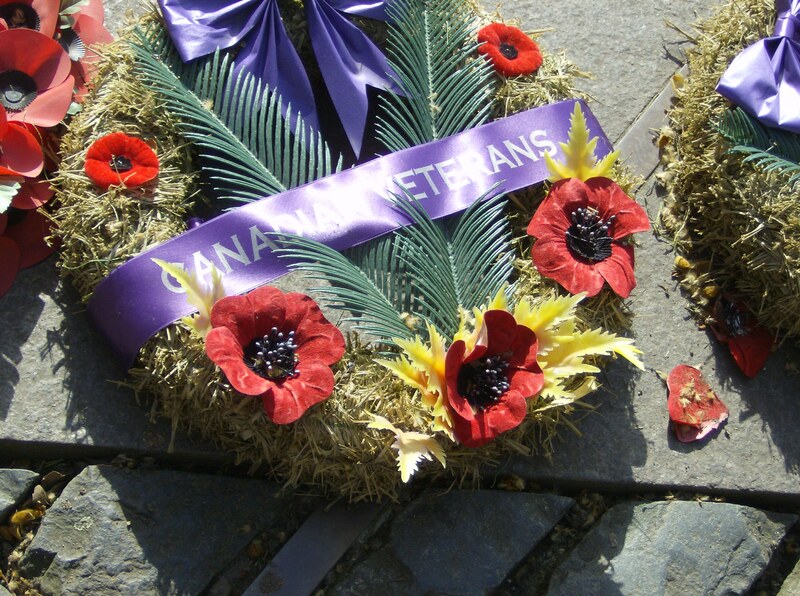 It has been well used, but is in excellent working condition. 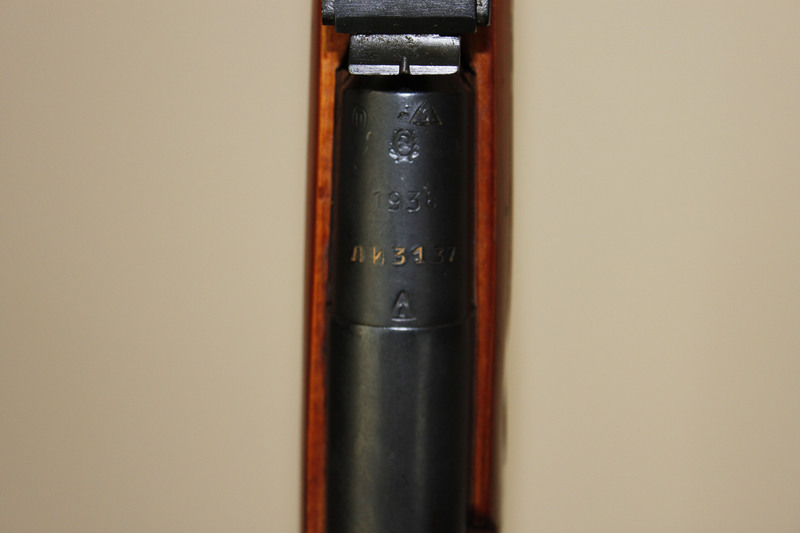 This photo clearly shows the mark of the Izhevsk Arsenal, the hammer and sickle crest, the year of manufacture, and the rifle’s serial number: LI3137. Nowadays, even after 125 years, Mosins are still in use by a select few countries such as Bulgaria and the Ukraine. They also keep cropping up in regional conflicts and guerrilla warfare around the world. Civilian shooters and hunters have also come to appreciate their versatility and affordability as sporting firearms. Ammo is relatively inexpensive considering the 7.62 x 54R round is similar to the Springfield .308, and the guns themselves are cheap as well. With a Mosin, one can get a lot of gun for around $200! If you ask me, the Mosin is a legend. 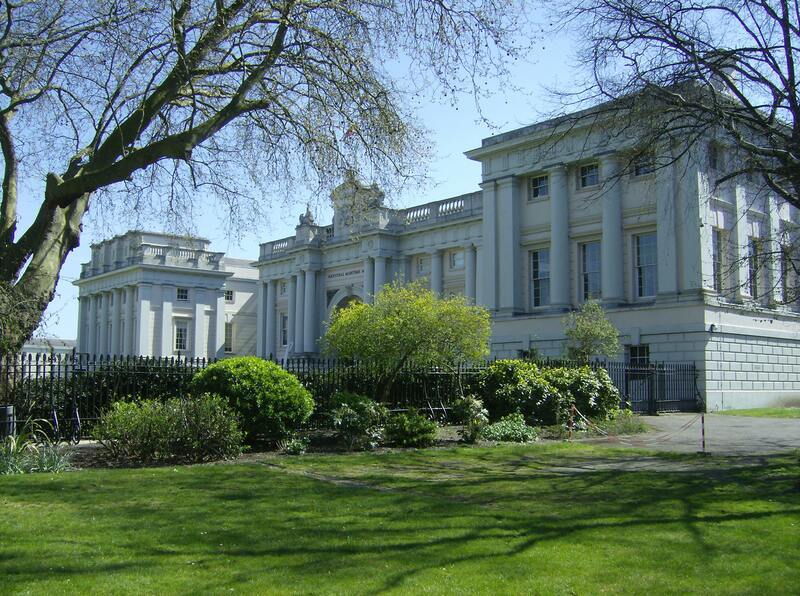 Who can argue with the proof of 125 years? It might look like any other 20th century bolt action rifle, but I think it’s a thing of beauty. It’s not as exciting as modern firearms, but no one should say a bad word against it until they’ve fired it and experienced that Mosin power! 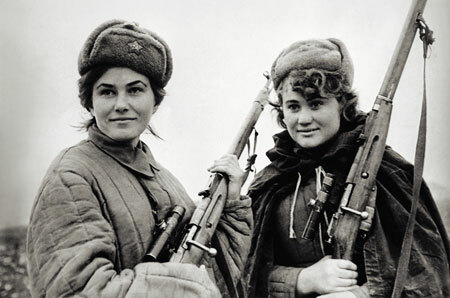 And guns like the Tommy gun or AK-47 certainly have a more prominent reputation in the media, but it was the Mosin that equipped the bulk of the Red Army in WWII. With a lesser gun in their hands, their victory might not have been so sure. The Mosin has been around for 125 years, and I’m grateful that in my lifetime I’ve come to know it. I appreciate the Mosin immensely, and as long as I’m here its amazing legacy will be remembered! One of the things I love about literature and film is that they have the awesome power to inspire. Books I read as a child have stayed with me even as I am now an adult; and when I recall notable scenes from movies watched long ago, they still have an effect on me. There is one such scene from the 2001 film The Fellowship of the Ring which, for me, has undeniable effect. It takes place in the Mines of Moria, when Pippin– being Pippin– knocks a bucket down a mine shaft, causing an immense racket. Once the crashing of the bucket against the walls stops, the fellowship (already feeling uneasy) stands in silence for a moment; and the viewer is led to believe that perhaps the mine is truly abandoned after all. Then the viewer and the fellowship hear the screeching of Orcs and the banging of drums from below; making for a tense and terrifying scene. It was this scene of great tension that inspired me, as a fanciful preteen, to write the following poem. It’s perhaps simple and repetitive, but when I was young I thought this was one of my coolest poems! I always loved the allure of fairy tales and similar stories, and the world of Middle Earth was the best of them all. I hope you enjoy it, and that it carries some of the effect of the scene it was inspired by! The sound of drums beneath the floor. But, the Dwarves could never flee. Announced by drums beneath the floor. The unfortunate souls of southern Ontario, of which I am one, are currently enjoying their third bout of winter in about two months; and by “enjoying” of course I mean “suffering”. Unless one lives in Antarctica, I don’t believe one should have to contend with snowstorms, ice on windscreens, and slippery roads in April. And yet here we are! A couple weeks ago spring seemed to be here, but that was short-lived and now it’s depressingly cold and white again. I’ll have to content myself with thoughts of springtime in England– a year ago I was there, but how very far away it seems now! 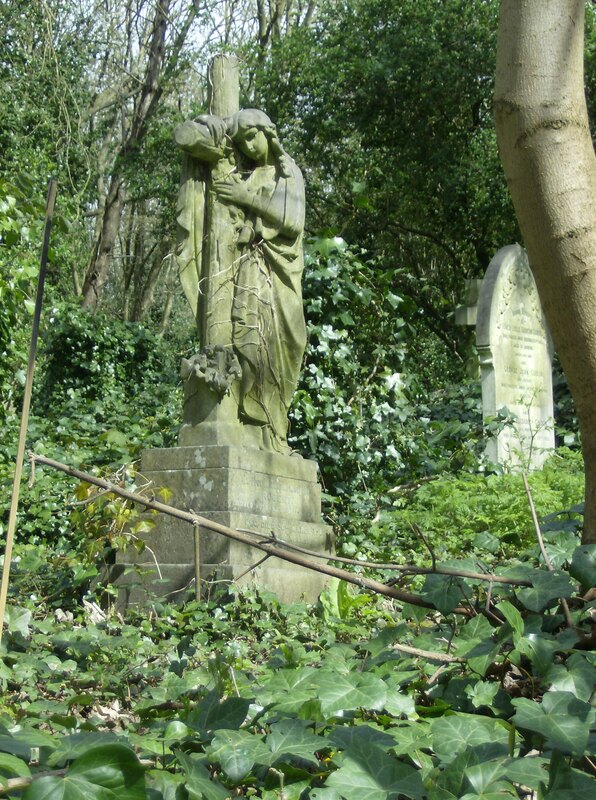 I hope you enjoy this collection of photos from that lovely springtime holiday. I don’t know when spring is coming, but I am sure that it’s getting closer every day! 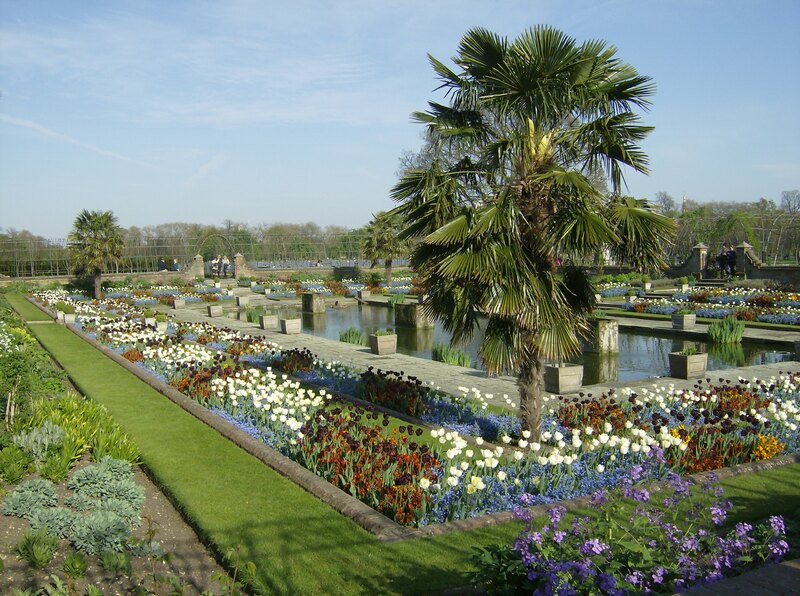 Kensington Palace has breathtaking grounds which can be enjoyed by everyone. England is such a marvellous place!! Followers of this blog will know that I am a great fan of fashion; and am an advocate of polished, vintage-inspired outfits in any situation! However, the nature of my job means that five days a week I am covered in dirt, grease, and grime; forced to wear work boots while my beloved collection of high heels collects dust in my closet! I don’t mind this as much as I thought I would, however. I actually feel quite pretty at work sometimes, perhaps because being in an environment where I am capable of driving any car, moving tyres, and shouldering the responsibility of organising half a department makes me feel confident. And in the year I’ve been working at Mitsubishi, I’ve found that it is possible to still look cool in work clothes. This outfit is representative of what I wear to work. Skinny jeans are comfy, durable (because I have spilled cleaning chemicals and grease on myself before), and they tuck nicely into work boots! I like to wear either a bright- or deep-coloured T-shirt, and sometimes wear stripes which remind me of the telnyashka worn by the Soviet/Russian armed forces. Atop that, I generally wear a hoodie. Hoodies are comfortable, and their pockets are useful when I’m carrying loads of keys! My work boots are pretty standard– they used to give me blisters, but they’ve worn in nicely. I always feel like a mechanic when I put them on, since I plus three of four mechanics at my shop have nearly identical pairs! Finally, I can’t go to work without a little bit of embellishment… namely, jewellery! I have forgotten on a few occasions to wear earrings to work, and I can’t describe the sinking feeling I get when that happens. Of course, I can’t wear anything dangly, so I stick to simple stud earrings which still add a bit of femininity and polish! For me, fashion is something that is relevant every day; regardless of workplace or occupation. Even though I know I’ll be exhausted and messy by the end of the day, I still take pride in planning a cohesive and attractive outfit every morning!